New York City is one of the most popular tourist destinations in the world, and for good reason. With an endless amount of sights, sounds, activities, and events to experience you’re sure to never be bored. If you’re planning a trip you don’t just want to stay busy during the day (for exapmle visiting Museums and Attractions without a limit), you also want to have fun at night as well. Luckily, New York is one of those places that really comes alive once the sun goes down. New York is home to Broadway theatre. These are some of the world’s most elaborate and spectacular theatrical shows, performed at the city’s 41 professional theatres. If you’re looking for a night of entertainment a Broadway show is definitely your best option. Not only does Broadway theatre produce the world’s greatest shows, it also often hosts some massive stars. Many famous movie stars such as Nicole Kidman, Hugh Jackman, Alec Baldwin and Scarlett Johansson have all starred in Broadway shows. If you’re looking for an entertaining evening this is definitely your best choice. If you’re a sports fan then you’re in luck. New York is home to an incredible ten major sports teams in five different sports. For baseball games, you have the historic New York Yankees, and the New York Mets. There are also two NFL football teams, The New York Jets and the New York Giants (although these games are played in neighbouring New Jersey). There’s also plenty of basketball, with the New York Knicks and the Brooklyn Nets both playing in New York. The New York Rangers and the New York Islanders both play hockey in the city, and there’s also two professional soccer teams in FC-New York and the New York Red Bulls. Between all the teams and leagues there’s bound to be a game going on during your trip. Some of the world’s most famous television shows are filmed live in New York City. And the best part is it’s totally free (although some shows do require you to reserve in advance). The shows give you a chance to see some of the world’s biggest entertainment stars live and in person. If you’re looking for shows that film in the evening, there’s the Tonight Show with Jimmy Fallon, The Late Show with Stephen Colbert, and Saturday Night Live. Who knows, if you’re lucky you might even end up on TV yourself! There is perhaps nowhere more synonymous with New York City than Times Square. The area is home to some of the world’s best entertainment, shops, and restaurants. Or, you can find a seat and people watch at one of the world’s busiest pedestrian areas. If you’re lucky enough to be in Times Square from 11:57 pm to 12:00 am you’ll be able to catch the Midnight Moment. This is when the many billboards in the square display an amazing digital show in perfect synchronization. It’s the world’s largest digital art show. New York City offers a number of different bus tours, and many companies offer nighttime versions of their day tours. There are a number of tours to choose from, with durations ranging anywhere from 90 minutes to 4 hours long. The double-decker bus tours are the most popular and come with a tour guide. This two-hour tour will guide you around Manhattan where you’ll see the sights and learn the history of one of the most famous areas of the city. If you’re looking for somewhere to explore there’s no better option than Greenwich Village. The centre of the 1960’s counter-culture movement, this neighbourhood now features a variety of cafés, bars, and restaurants. Greenwich Village is also home to Washington Square Park. Here you’ll often see street performers and other forms of impromptu entertainment. With so much to see and do you’ll be sure to find something interesting to pass the time here. Arguably one of the world’s most famous bridges, this landmark is another popular attraction for tourists. You can walk the bridge 24 hours a day, but perhaps the best time to do it is at sunset where the views are particularly spectacular. The bridge also offers great views of popular New York landmarks and areas, including the Empire State Building, Brooklyn, Manhattan and even the Statue of Liberty. There is perhaps no landmark more famous in New York City than the Empire State Building. The most popular times to visit are during the day and at sunset, but if you want to avoid the lines your best bet is to go later in the evening. The last admission is 1:15 am. A trip to the top of the Empire State Building offers some of the best views of New York City’s skyline. There are two viewing areas: the 82nd floor and 102nd floor. Both views are spectacular and will allow you to see all of the city’s major landmarks. New York City is a cultural hub, which is evident by the large number of incredible museums found in the city. Many of the best museums offer late hours, which can be an excellent way to beat the crowds. Some popular late-night museums include the Metropolitan Museum of Art, the Museum of Modern Art, and the Whitney Museum of American Art. Built on an abandoned elevated railroad, this city park is a great way to tour the city. The most popular time to visit is during the day, which is why going at night can be great if you want to have the park to yourself. Closing times vary throughout the year, but during the summer the park is open until 11 pm. You can do a tour at sunset or walk the park at night when the city is lit up and looking particularly beautiful. The island is also home to Luna Park and the famous Cyclone roller-coaster. In addition to the roller-coaster, the park features a number of fun games and snacks, including hot dogs from the world-famous Nathan’s. The iconic Grand Central Station is more than just a train station. The landmark is full of history and one of the most beautiful pieces of architecture you’ll find in New York City. Since the station is far less busy at night it’s a great time to explore without having to fight the crowds. If you’re in the mood for a stroll there are a number of fantastic walking tours that are available in the evening. Tours change depending on the time of year, so make sure to check what’s available when you’re planning your trip. There are tours of Manhattan, the Brooklyn Bridge, ghost tours, and holiday lights tours in December. New York City has some of the world’s best restaurants, and there is no shortage of options to choose from. The best part is, a number of the restaurants are smaller establishments that offer cheap meals packed with big flavours. There are simply too many restaurants to list, but some of the areas with the best eats include Greenwich Village, Times Square, the Theatre District, Chelsea Market, Chinatown and Little Italy. 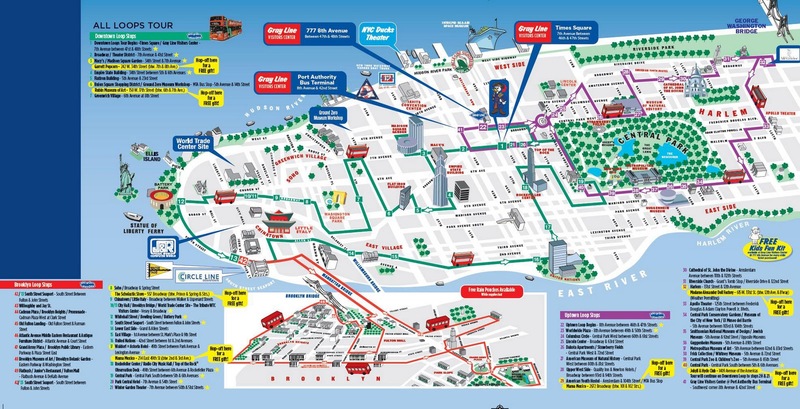 Take a stroll through any of these areas to uncover world famous establishments, plus a number of hidden gems. Some of New York’s best tours actually take place on the water. There a number of boat cruises available at night, including sailboat tours, dinner and jazz cruises, and trips that take you to the statue of liberty. If you’re a traveller on a budget you might want to consider taking the Staten Island ferry. The trip offers some great views of the city and it’s completely free. Free or Cheap Things to do in NYC this Weekend? Whether you’re looking for a relaxing evening, an exciting adventure or some unique entertainment, New York City’s nightlife has exactly what you’re looking for. The only problem you’ll have is fitting everything you want to do into one trip.